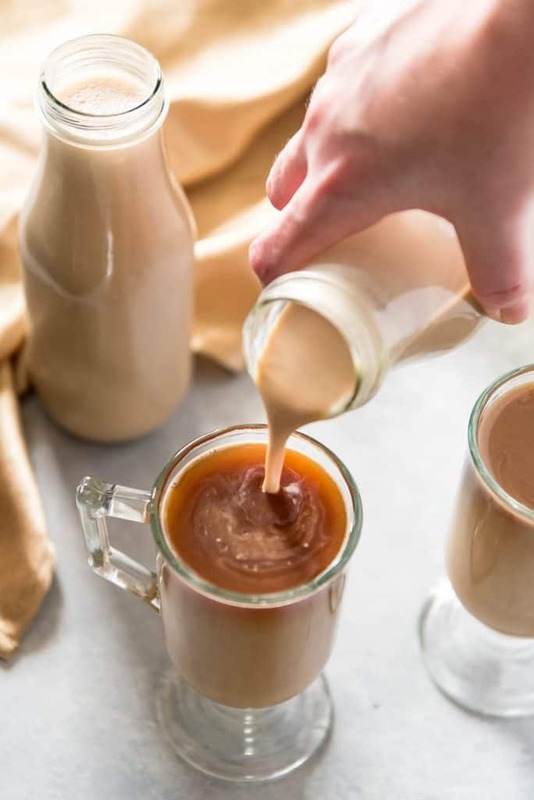 This quick and easy homemade Irish cream recipe is the one you’ve been looking for! 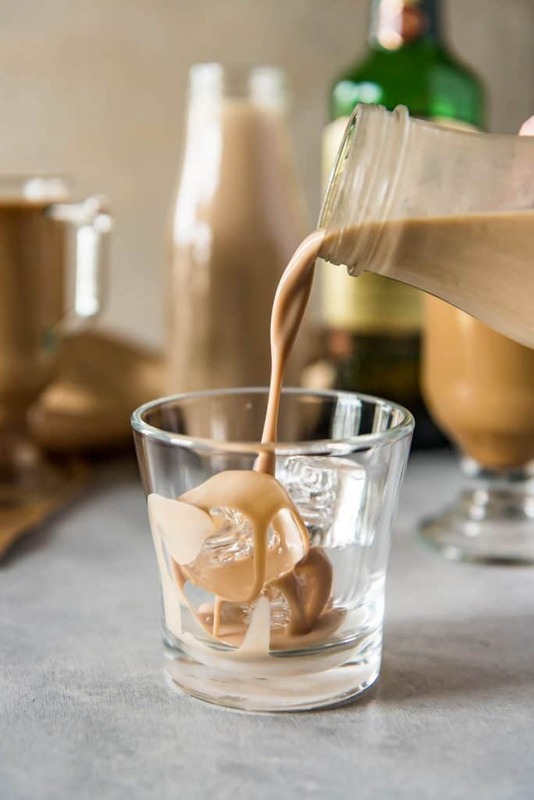 You’ll never have to buy a bottle at the liquor store again when all it takes is 5 minutes and 6 ingredients to make the perfect copycat version of your favorite silky-smooth Irish cream liqueur! From one sport to dozens of others…so long football – hello Olympics! Today kicks off the 2018 Winter Olympics, and I’m celebrating my love of all things ice skating and snowboarding with some close blogging buddies! All week, we’ll be sharing recipes highlighting some of the countries participating. I’m starting with Ireland. I’ve always been a little obsessed with the Emerald Isle and everything about it. One of the highest ranking to-do’s on my bucket list is to roll down and Irish hill – something I hope to accomplish in the next year! Plus, with St. Patrick’s Day getting so close, DIYing my own homemade Irish cream recipe was too hard to pass up. It turned out absolutely delicious! I’m so happy with the results, and you will be too once you whip up a batch or three. 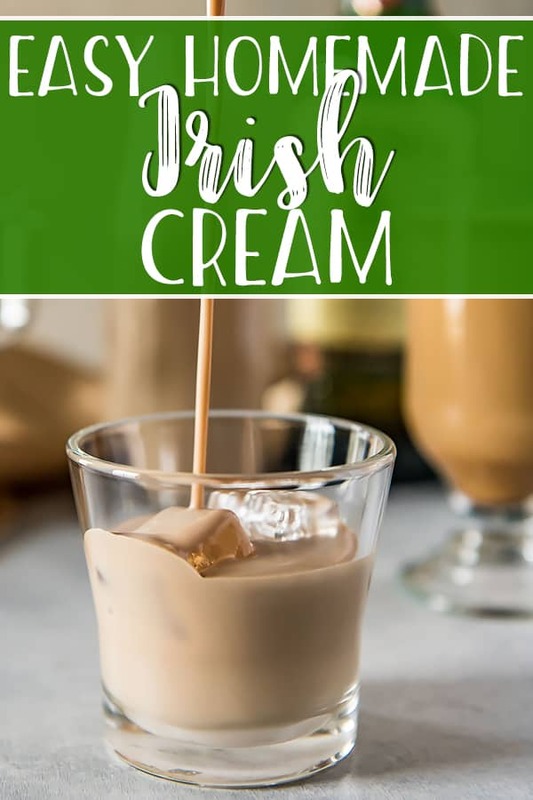 Irish cream is a cream-based liqueur that can be enjoyed on its own, or mixed in cocktails, coffee, or used in desserts. 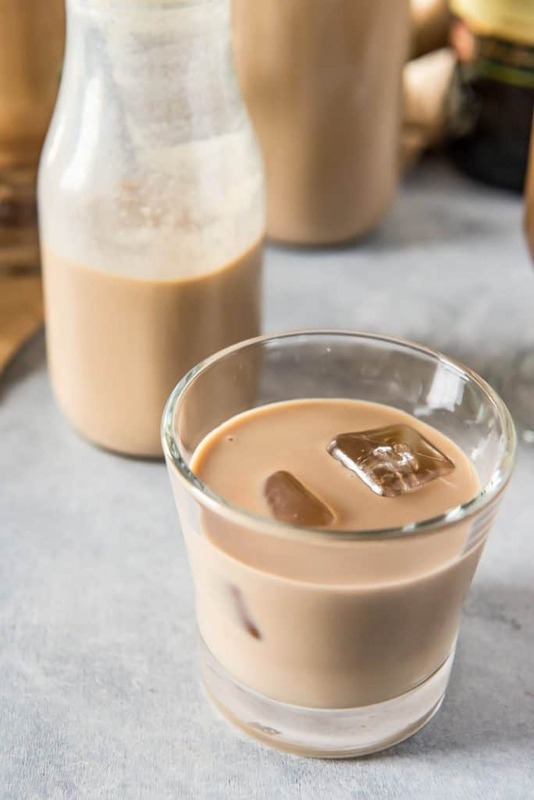 Typically made with Irish whiskey, the drink is lightly sweetened and also contains hints of coffee, chocolate, and vanilla flavors. It has been made popular mostly in the form of Baileys Irish Cream, a well known store-bought brand. I’m a big fan of all of their flavors, and I use it a lot in baking, so our liquor cabinet is never without a bottle. Well…guess what? Your homemade Baileys will blow that 2-year shelf life stuff out of the water. Plus, it’s ridiculously quick and easy to make. You don’t even need any special blender or strainer – a bowl and a whisk will do the job as well as any high-powered small kitchen appliance. Join us all week in celebrating the 2018 Winter Olympics – with food! Here are today’s recipes, and I’ll be coming at you with more of my own on Wednesday (USA!) and Friday (France! ), as well! OH! Do NOT forget to stop by my Instagram to join our big fat Loop Giveaway! We’ve got so many fun foodie prizes, you’re not gonna want to miss it! 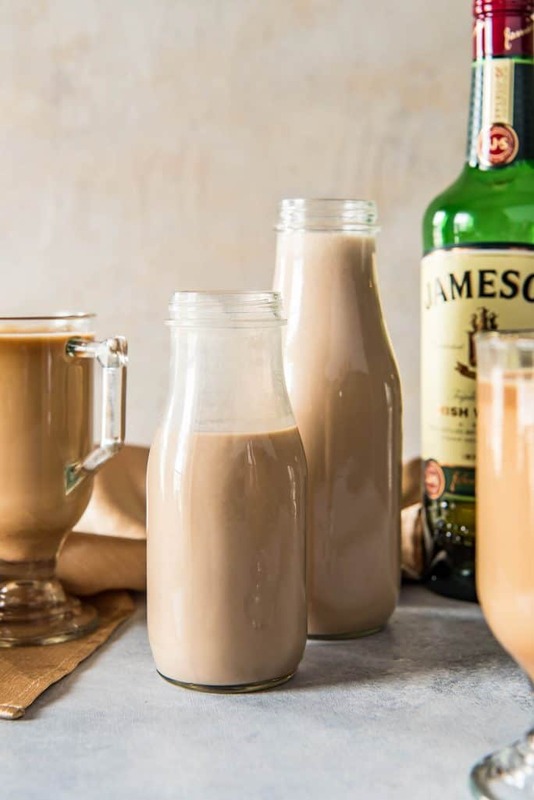 So what will you do with your homemade Irish cream? These are just some of the treats I’ve made! 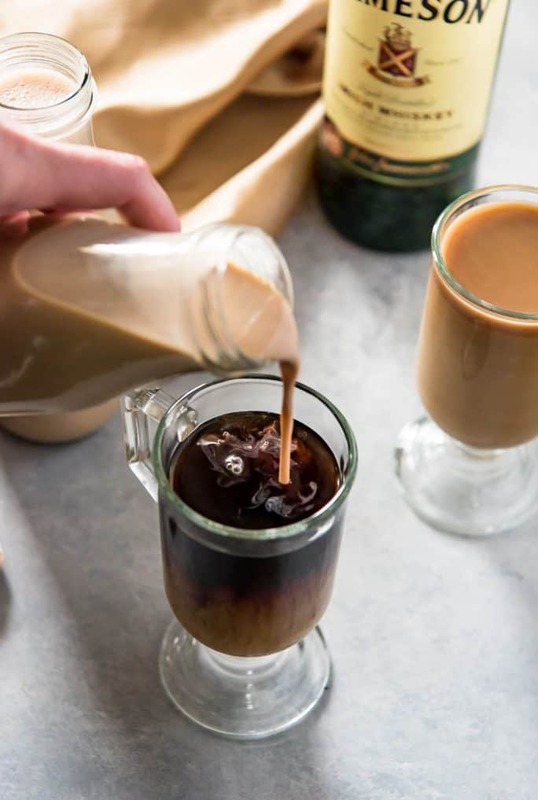 This quick and easy homemade Irish cream recipe is the one you've been looking for! 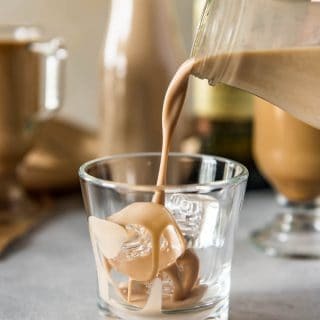 You'll never have to buy a bottle at the liquor store again when all it takes is 5 minutes and 6 ingredients to make the perfect copycat version of your favorite silky-smooth Irish cream liqueur! In a blender, combine the all of the ingredients and blend on high speed until combined, 30-60 seconds. Transfer mixture to an airtight container or glass bottle. Store in the refrigerator, covered, for up to 2 months. Shake well before using and serve chilled over ice or splashed in your morning coffee. 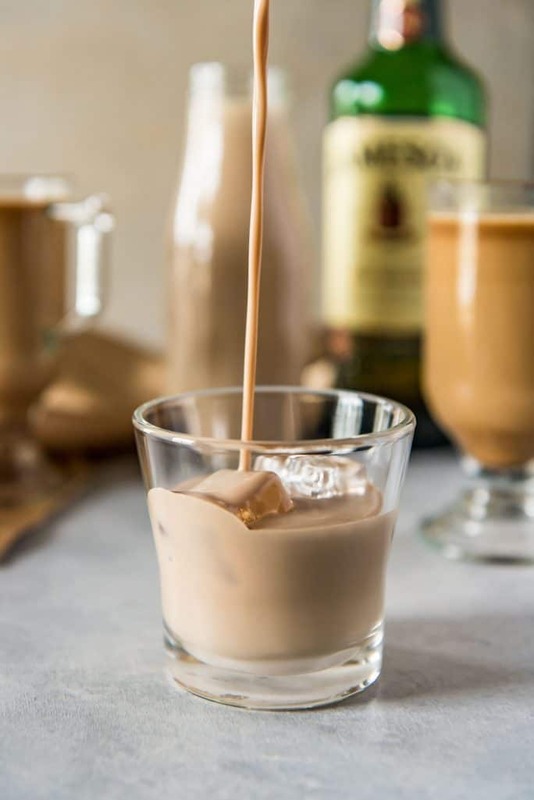 PIN THIS HOMEMADE BAILEY’S IRISH CREAM RECIPE FOR LATER!